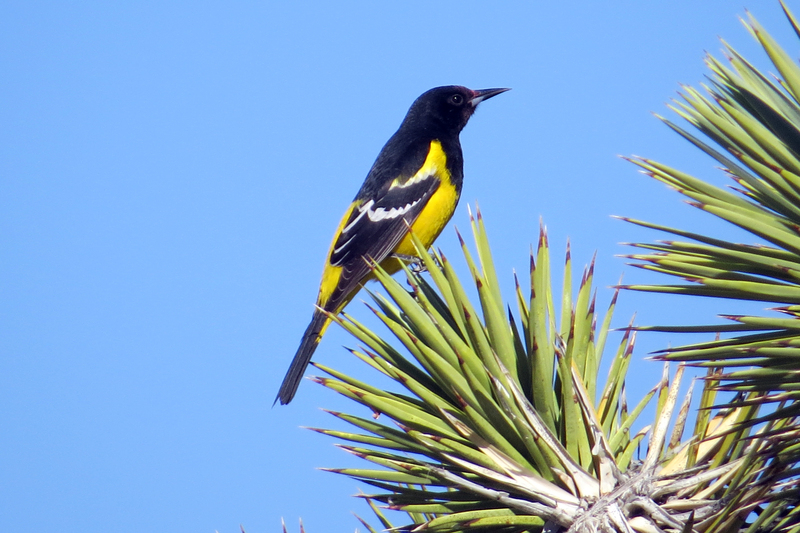 A recent study by the University of California, Berkeley (UC Berkeley), has found that bird communities in the Mojave Desert straddling the California/Nevada border have collapsed over the past 100 years, most likely because of lower rainfall due to climate change. A three-year survey of the area, which is larger than the state of New York, concludes that 30 percent, or 39 of the 135 bird species that were there 100 years ago, are less common and less widespread today. The 61 sites surveyed lost, on average, 43 percent of the species that were there a century ago. "Deserts are harsh environments, and while some species might have adaptations that allow them to persist in a desert spot, they are also at their physiological limits," said Kelly Iknayan, who conducted the survey for her doctoral thesis at UC Berkeley. "California deserts have already experienced quite a bit of drying and warming because of climate change, and this might be enough to push birds over the edge. 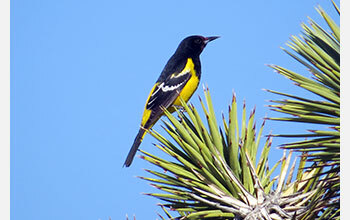 It seems like we are losing part of the desert ecosystem." The collapse could have an impact on desert plants that rely upon birds to spread their seeds and for pollination, she said, as well as on a host of creatures that prey on the birds.